Joel Zachry has taught outdoor skills courses and led backcountry adventures in black bear and grizzly bear country for over thirty years. 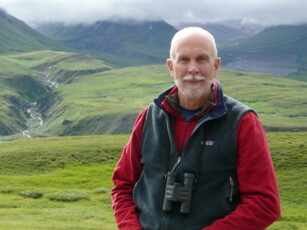 His career as a community college biology professor and naturalist allowed him to combine his occupation with his passion for the outdoors and wildlife. He also served in the mid-1990’s as board member and president of the Appalachian Bear Rescue and Great Bear Foundation. 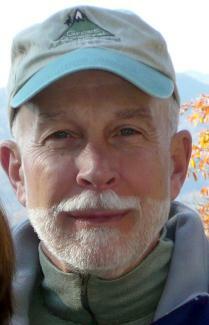 Together with his wife Kathy, a career medical industry executive, he has led extended trips within bear habitat regions in the southern Appalachians, as well as Colorado, Maine, and Montana, and guided excursions in remote portions of Alaska for over twenty years. Additionally, they section hiked the length of the Appalachian Trail, backpacking 2,175 miles from Georgia to Maine. They completed nearly half of this journey with their beloved dog, “AT,” and six loyal hiking friends. 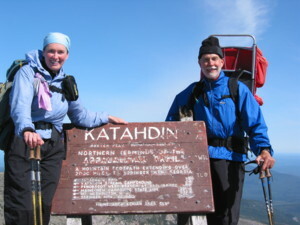 They have served as backcountry instructors, Joel since 1980 and Kathy since 1983, of the nationally recognized, award winning, Smoky Mountain Field School – a cooperative venture between the National Park Service of the Great Smoky Mountains National Park and the University of Tennessee. Retired from initial careers, they live on 17 acres in eastern Tennessee with their four cats, fainting goats, and a diversity of wildlife. They continue to share their knowledge, experiences, and love of the outdoors through their company – Great Outdoors! Adventure Travel.